The following articles are used to define and indicate the source of authority for the issuance of various policies, regulations and rules by which USFA governs itself and its members. Disturbing news is emerging tonight with reports and photographs on social media of two men with spear guns confronted on the beach at Mona Vale, Sydney with a speared Grey Nurse Shark on Sunday 2nd August 2015. 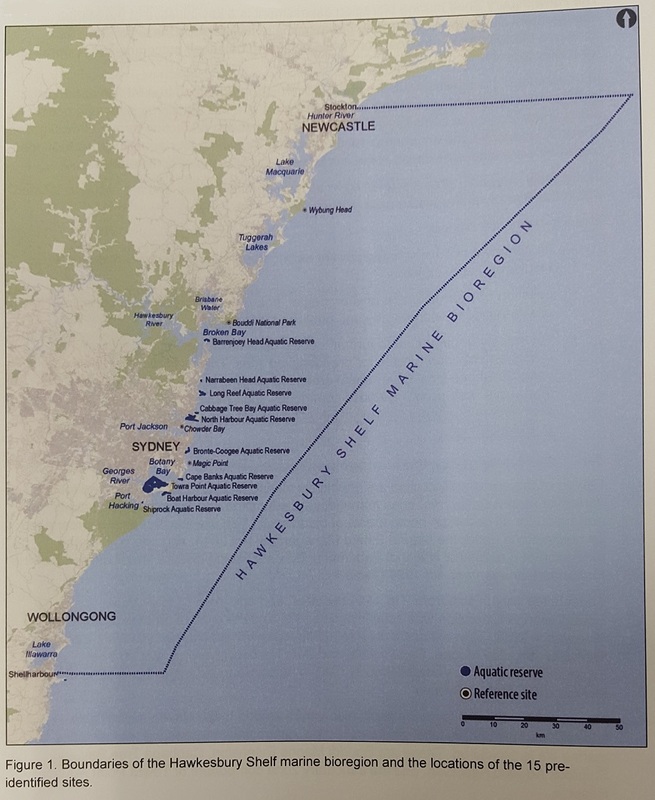 The Underwater Skindivers and Fisherman’s Association (USFA) do not condone any illegal practise by NSW spearfishers who do not comply with Fisheries regulations and laws. The juvenile 1.2m Protected Shark had been shot twice in the head and from an angle that denotes a deliberate act and not a result of self-defence. When confronted the men feigned poor English and then said the shark had “tried to kill them” before throwing the dead shark back into the ocean along with the rest of their catch. The two men fled the location in a champagne coloured Nissan Patrol 4WD still wearing wetsuits with numberplates being seen by a few and forwarded to Fisheries. The Underwater Skindivers and Fisherman’s Association (USFA) would like to remind all spearfishers that every time you pull on a wetsuit you are representing not just yourself but the entire sport, that at all times you must uphold the highest level of ethical standards, abide by all laws and adhere to the USFA Rules and Regulations. The USFA has also developed the Code of Conduct for Grey Nurse Sharks to assist spearfishers with their interactions with GNS. This code represents the minimum standards of behaviour and actions required when Spearfishing in proximity to Grey Nurse Sharks. The code is part of the membership commitments to the Underwater Skindivers and Fishermen’s Association (USFA). 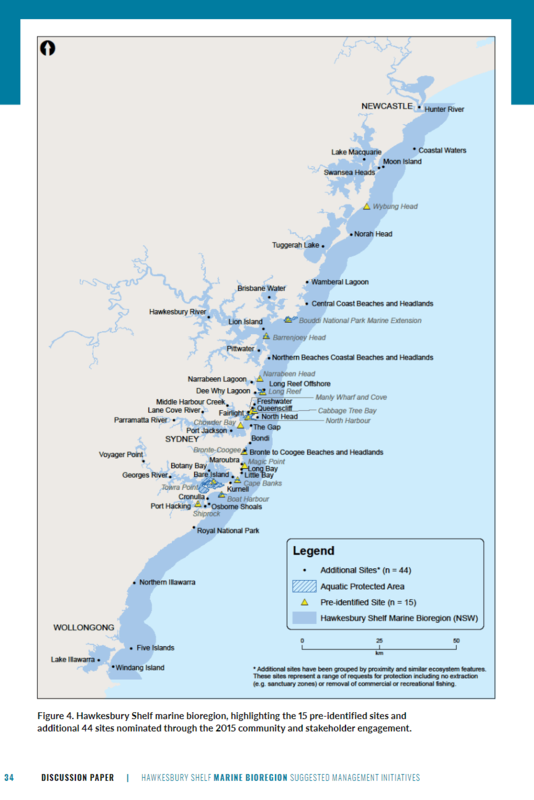 It also serves as the default standard for all NSW Spearfishers. Keep a minimum distance of five (5) metres at all times. Do not knowingly allow sharks to steal catches. Refrain from all forms of flashlight photography of sharks. When sharks move to within five (5) metres discreetly retreat avoiding the projected path of the shark. If the sharks appear agitated, move out of the area. Assist in any scientific research in conjunction with NSW DPI personnel. Maintain and share records of shark populations to be able to ascertain whether they may be increasing or decreasing over periods. When operating in Grey Nurse Shark locations, try to limit direct interaction. Educate other spearfishers who may not be aware of, or otherwise regulated by the USFA code. This document governs how the USFA is run. This document sets out the expected behaviors of all USFA members. This document details how competitions run under the auspice of the USFA must be run. This document explain the specific rules that apply to competitions. This document outlines the fees associated with items detailed in the Constitution. This document is a comprehensive guide to Spearfishing compiled by the USFA. (a) The Constitution of the USFA may be altered or changed by Special Resolution and ratified at the AGM or an Extraordinary Meeting of the Committee, subject to the other provisions of this section. Note: The Committee, by definition, signifies the Executive and one Representative from each Affiliated Club, who shall carry the voting power of his Club after consultation with all of its members. The rules covered in Sections 16, 17, 18 & 19 shall be strictly adhered to in the deliberation and final voting on any such alterations. (e) Any change to the USFA Constitution Proper requires at least 75% of the voting power of the USFA, as set out in Section 19 below, to be in favour of the alterations proposed in order to be carried. (f) The Executive may make, alter or repeal any part of the Constitution, except the Constitution Proper, at any time, provided notice of any change is given to all Clubs and Executive within 14 days of the proposed date of change, after which time the changes shall take immediate effect. iii. The Club or Group agrees to abide by the Constitution of the USFA iv. The Club or Group pays in advance the registration fee as outlined in the “USFA Schedule of Fees” v. The Club or Group Nominates a Club Representative. (b) All Clubs shall pay an annual Affiliation Fee as outlined in the “USFA Schedule of Fees”. (c) Each member of a Club shall pay an annual Member’s Affiliation Fee (as outlined in the “USFA Schedule of Fees”) through their Club to the USFA. It shall be part of their Club Membership and shall not be an optional amount. (d) Notice of Annual Affiliation Fees payable by the Clubs and their members shall be sent prior to the conclusion of the financial year. All Clubs and members must ensure that Affiliation Fees are paid within 30 days of the expiry date. Failure to do so will result in the Club or member being deemed unfinancial. All Fees become due on July 1st of each year. (e) Any Club which becomes unfinancial shall no longer partake in the privileges of membership and nor will its members. (f) In the event a Club remains unfinancial for more than 30 days after the serving of a notice by the Membership Officer, it shall be struck off the list of USFA Affiliated Clubs. (g) A rejoining Fee as outlined in the “USFA Schedule of Fees” may be demanded by the Committee. (h) All Clubs shall accept full responsibility for the actions of their members and shall undertake to administer any penalties or controls as deemed appropriate by the USFA. (i) Should any Affiliated Club fail to abide by the Constitution, its affiliation may be suspended by the Committee. (j) Acceptance of the USFA Constitution implies acceptance of all sections and parts of the USFA Constitution. (k) Conditions relating to payment of annual Individual Member’s Affiliation Fees will be the same as those relating to members of Clubs, except that their fees will be paid directly to the Membership Officer. Failure to pay their fees as set out in Section 5. Part (d) above, will result in action as in Section 5. Parts (e), (f) & (g) above, but pertaining to an Individual Member. (l) Clubs must attend a Committee meeting when a meeting is deemed to be sufficiently important to be rated as compulsory. This may be accomplished by either sending a representative in person or by an electronic link-up. (m) Notwithstanding the above, all meeting minutes forwarded to the Club Representatives will be replied to in the form of a willingness to accept the outcomes of those meetings, or a report tendered on the issues arising from the minutes. These may be offered as agenda for the following meeting at the discretion of the Committee present at the original meeting. (n) Non-compliance with Parts (l) & (m) of this section (above) may result in a fine or suspension of Affiliation at the discretion of the Committee. i. Any person who is a registered financial member of a registered financial Club. Membership shall be unlimited subject to the Committee’s right to reject any application for membership without any reason being given. The applicant’s Club will be informed of the reason for rejection within 7 days of the refusal. ii. The Executive may approve Honorary Full Membership, at its discretion, in cases such as a new member offer, a prominent individual’s efforts in promoting the sport or non-competing Office bearers and volunteer helpers. iii. An individual may make application directly to the Membership Officer via the Membership Application Form. All rights and obligations as for a Full Member, and as defined in this Constitution, apply. iv. Any person rendering special or important service to the USFA may be nominated for Life Membership. Nominations shall come from the Clubs to the Secretary 30 days prior to the AGM. The nomination shall give a full account of the nominee’s activities in sufficient depth for adequate consideration to be given by the Committee. A nominee will be accepted as a Life Member if a 66% majority of the USFA’s total voting power is in favour. A Life Member shall pay no USFA Affiliation Fees and no Club Membership Fees. (a) Nominations from Members or Clubs for the position of Patron of the USFA shall be considered by the Committee at the AGM. (b) A patron is a person of note who may or may not be a member of the USFA and has performed functions or delivered statements which have brought repute to the USFA. (c) This position is purely Honorary but will be in keeping with the dignity of the USFA. (a) Subject to the provisions of this Constitution and the regulations set up from time to time, every Member shall be entitled to use all premises and facilities of the USFA, and to participate in any activity, competition or event conducted by, or under the auspices of, the USFA. (b) Every Member is eligible to contest any election into any Position of Office in the USFA. (c) Every Member shall be entitled to add agenda to any proposed meeting of the USFA within the specified timeframe, attend any meeting of the USFA, and may address any meeting of the USFA with the permission of the Chairman. (d) Every Member is entitled to view any records of business, or otherwise, of the USFA by appointment with the Secretary of the USFA. (a) Each Club, provided all other conditions contained herein are satisfied, shall be entitled to vote on matters determined at any General Meeting or Extraordinary Meeting of the USFA, or any Special Resolutions offered. (a) The administration, control and direction of the USFA shall be the responsibility of the Executive, except during the course of General Meetings, Extraordinary Meetings, and an AGM at which the Committee presides, and whilst dealing with any Special Resolutions. (b) The Executive will consist of all position holders as detailed in TABLE 1. (c) The Committee shall consist of the Executive and one representative from each financial Club. (d) The Committee may, at any time, appoint or delegate its powers to any Sub-committee and may regulate and determine the procedures and duties of such Sub-committee. (e) The Executive may appoint persons to hold any positions in the USFA deemed necessary for the correct and efficient running of the USFA. Any duties related to, and any powers implied by such appointment will be circulated and clearly defined to the USFA Membership within 7 days of such appointment. (a) When the Committee is not in session, the Executive shall assume the general authority. (b) The Executive may not take action that involves changes to: the Constitution Proper; any major policy; or any issues denoted as a Special Resolution without first advising all the Clubs of the intended action and being guided by the decisions of the Clubs, except as laid down in this Constitution. (c) The Executive shall settle all and any disputes arising from any Clubs’ or their Zones’ interpretation of this Constitution. All decisions made shall be final. (d) Directions from the Executive to the Clubs, their Members and their Zones are binding. (e) The USFA Executive shall neither have authority over, nor be held responsible for the financial management of the Clubs or their Zones, except as laid down in this Constitution. (f) The Executive may, without prior warning, remove from Office any member of the Executive who: through misconduct, mismanagement or omission, fails to carry out their duties in a proper manner. The Executive may then appoint a person to hold that position temporarily until an election for that position takes place. Appeals outlined in Section 14 below. (g) The Executive may, at any time, call upon any Club to account for its actions and may, if so decided, suspend the Club until an enquiry into its actions is satisfactorily completed. (h) Any Club failing to account in full for its actions, or attempting to hinder the work of the USFA at any time, shall be considered contemptuous and be liable to imposition of a penalty or suspension as at the discretion of the Executive. (i) The Executive must ratify any recommendations, public statements or business, submissions and the like, by any Member or Sub-committee before they are implemented as USFA Official. (j) Each member of the Executive shall provide an Annual Report for the AGM electronically forwarded to the Secretary no later than 7 days before the meeting. (k) If any member of the executive resigns before the AGM, they shall send a letter of resignation to the Secretary. (l) The Chairman of the USFA may appoint a replacement until such time as an election may be held to fill the position. (a) The Committee shall assume the authority of the USFA, and the specific authority of the Executive, when it is in session. (b) Any member of the Executive considered as failing to carry out his duties in a satisfactory manner by the remainder of the Executive and/or the Committee, or bringing by his actions, statements or otherwise, disrepute upon the USFA, shall be requested by the Executive or Committee to show acceptable reasons for his actions. Failure to respond to such a request in a satisfactory manner shall result in his removal from Office by the Committee. (c) Any Committee member suspended under Part (b) above, or Section 11. Part (f) above, may appeal at the next Committee Meeting or by direct contact to all Clubs and each member of the Executive for deliberation. Ensure all communications are in keeping with the professional expectations and brand identity of the USFA. Assist the Secretary in all his duties. (a) Any Club which has disciplinary action taken against it or any of its members may appeal to all Clubs and the Executive within 30 days of imposition of penalty, and with the prescribed bond as outlined in “USFA Schedule of Fees”. (b) Clubs shall have the option of appealing for their members or not: at their discretion. (c) All correspondence pertaining to appeals, suspensions and voting shall be deemed as “A” Class correspondence. (a) The Committee shall meet at least 4 times a year including the AGM. (b) The Quorum shall consist of at least 6 Committee members with a minimum of 4 to be Executive. (c) If a Quorum is not present within 30 minutes of the advertised starting time of the Meeting, that Meeting shall be adjourned. (d) That Meeting shall be rescheduled to a date not exceeding 14 days from the original meeting date. (e) If a Quorum is not present within 30 minutes of the advertised starting time of the rescheduled Meeting, or if a suitable date cannot be agreed upon at the original Meeting, that particular Meeting shall be cancelled. (f) In the absence of both the Chairman and Deputy Chairman at a Meeting and providing a Quorum being present, those present are to elect a Chairman for the Meeting. (g) The Secretary shall issue a Meeting notice and call for Agenda to all Club Representatives and Executive not less than 30 days prior to the Meeting. (h) The Club Representatives and Executive shall deliver all Agenda to the Secretary not less than 15 days prior to the Meeting. (i) The Secretary shall publish and distribute the final Agenda not less than 10 days prior to the Meeting. (j) Items for inclusion on the Agenda of any Meeting may be submitted at the Meeting but any Members present may exercise their right to veto any such item if the item is deemed to be better served under a Special Resolution or if limited by available time remaining. (l) Any Meeting (except the AGM) may, upon a motion being duly moved and carried, be adjourned to enable a meeting of any Sub-committee to be convened if deemed necessary to facilitate proper decision making on any issues presented. (m) Voting on any general issues, not deemed to be better served under a Special Resolution, shall be restricted to one vote per Committee member. Club Representatives shall have the authority to vote without consulting their Club. The Chairman must abstain but may lodge a casting vote in the case of a deadlock. (n) Voting on a Special Resolution shall be carried out in strict accordance with Section 19 or 20 below. (o) Any Member ruled to be disorderly by the Chairman, shall be removed from the Meeting and their vote (if any) curtailed until a replacement Representative is appointed. If none available, the Meeting will continue without their Club’s representation. There will be no replacement offered in the case of the Member being an Executive Officer. (p) A copy of the Minutes shall be sent to all of the Executive and Club Representatives within 30 days of the meeting. The Club Representative must adhere to the provisions of Section 5. Parts (m) & (o)i. above. (a) The AGM shall follow all provisions of Section 15 above, except part (l). (b) The business of the AGM shall be the notification and ratification of action taken during the year by the Executive, any business that any Member wishes to place on the Agenda, and the election of the Executive for the next term of Office. (c) Nominations for members of the Executive shall be received by the Secretary, duly nominated, seconded and signed or approved by the nominee, up to the conclusion of the AGM. At this time the Chairman shall declare all Offices vacant and a returning Officer shall be appointed to conduct the election of the USFA Chairman who shall then complete the election. (d) Voting shall be by a show of hands or by secret ballot at the discretion of those present. (e) The Chairman of the elections will have no vote except as a casting vote in the case of a drawn result. (f) If there is only one nomination presented in accordance with part (c) above for a particular position, then the nominee shall be deemed duly elected into that position. (g) Any positions left vacant at the completion of the elections shall be advertised by the Secretary with the view of seeking nominations. Notwithstanding the provisions of Part (f) above, the nominations shall be dealt with in accordance with Section 20 below. (a) An Extraordinary Meeting of the Committee, or any Sub-committee, may be called at any time by the Executive or upon receiving a request from Clubs representing at least 50% of the voting power of the USFA. (b) Notice of the Extraordinary Meeting is to be served to all Executive and Club Representatives not less than 30 days prior to the meeting. (c) The Chairman of the USFA shall have the authority to call an Extraordinary Meeting with limited notice in times of emergency. (a) Any matter or issue presented to the Executive or Committee that is over and above the matters and issues related to the every day running of the USFA, or any matter or issue which would be deemed to require a broad response, shall be deemed a Special Resolution. (b) A Special Resolution is to be referred to a Meeting or an Extraordinary Meeting or be dealt with electronically. (c) A Special Resolution is to be voted on in accordance with the provisions of Section 19 or 20 below. (a) The voting power of a Club shall be calculated on the basis of every full 10 members of a Club shall gain that Club one vote. E.g. 9 Members - no vote; 20 Members - 2 votes; 47 Members - 4 votes etc. (b) Voting on general issues not deemed a Special Resolution shall be carried out in accordance with Section 15. Part (m) above. (c) No Club shall hold a total voting power in excess of 15 votes. E.g. 160 Members - 15 votes; 200 Members - 15 votes. (d) The Executive shall hold only one vote as a whole, being a casting vote only. (e) A simple majority shall decide if a motion is to be carried or defeated. (f) If voting reaches a deadlock, the Executive shall clear the room to discuss and vote on the motion in order to deliver the casting vote. (g) If Part (f) above eventuates, the Chairman shall only carry a casting vote as part of the Executive vote. (h) Any Member involved in the voting on any issues relating to the business of the USFA must declare if a conflict of interest exists in any issue, and, if one does exist, that Member must abstain from the vote on that issue. (a) If the Committee or the Executive require a matter dealt with between Meetings, they shall inform the Secretary who shall, within 14 days, advise all Clubs and the Executive of the details of the matter in the form of a Notice of Motion. (b) Upon receiving such notice, the Club Representative must carry out his duties as outlined in Section 5. Part (o) above. (c) The Club Representative must return his Club’s vote in writing to the Secretary within 30 days: being the validity date. Any Club votes received after this date shall be declared invalid and an explanation may be sought by the Executive. (d) The Executive shall consider and decide the matter from the indication of votes received from the Clubs. This decision shall be final and shall be circulated by the Secretary within 30 days of the validity date. (e) Any Club wishing to amend the Notice of Motion shall record its amendment with its vote for the consideration of the Executive. (f) The Executive may issue a notice of motion at any time. (g) Voting power shall be determined by the secretary from the provisions contained in Section 19 above. (h) All Parts contained in Section 19 above, are to be adhered to. (i) All records of the abovementioned are to be placed on file by the Secretary and produced at the next Meeting if required. (a) Correspondence shall be treated in 3 priorities: “A” Class; “B” Class; or “C” Class. (b) “A” Class correspondence shall be considered of greatest urgency and shall be replied to ASAP, but not more than 14 days upon receipt of the communication by the Club representative. (c) “B” Class correspondence shall be considered of medium urgency and shall be replied to ASAP, but not more than 21 days upon receipt of the communication by the Club Representative. (d) “C” Class communication shall be considered of least urgency and shall be replied to ASAP, but not more than 30 days upon receipt of the communication by the Club Representative. (e) The Chairman or Secretary may classify outward correspondence if deemed necessary. (f) The Chairman or Secretary may classify inward correspondence if deemed necessary, and the Executive shall be bound by the provisions of this section: Parts (b), (c), & (d) above. (g) Any communication not replied to within 7 days of its due date, shall be followed up by the Members Liaison Officer. (h) Any communication deemed “Confidential”, shall not be transmitted beyond the bounds of the Executive until such time as deemed cleared for general distribution. (a) A Notice may be served upon any Member either in person, by mail, or electronically, and shall be classified as “A” Class correspondence. (b) Any Notice served by mail or electronically shall be deemed to have been served at the time when it would have been delivered in the normal course of events. (c) The Members Liaison Officer shall follow up on any Notices served within 7 days of the serving to ensure; firstly - it being received; secondly - it being treated as “A” Class by the recipient; and thirdly - the recipient understands the content of the Notice. (a) All finance shall be under the control of the Committee. (b) All monies for the USFA shall be paid in full to the Treasurer who shall bank such monies within 7 days of receipt. (c) All accounts payable by the USFA shall be paid by cheque, which shall be signed by the Treasurer and one other member of the Executive (being a nominated signatory on the account), or EFT using 2 factor authentication (a one time password generator), which only allows the EFT to take place with one Executive member as the originator, and one Executive member as the authenticator. (d) The financial year shall be from 1-7- preceding year to 30-6- following year. (e) In the case of any new applications for affiliation or Membership being received before and near to the end of a financial year, thus leaving insufficient time to complete the transaction and associated accounting, the fees payable will be accounted in the next financial year but full Membership rights shall be extended in the interim. (f) The assets and income of the USFA shall be applied solely in the furtherance of its specific authority, and no portion shall be distributed directly or indirectly to the members of the USFA, except as bona fide compensation for services rendered or expenses incurred on behalf of the USFA. (g) The Executive may receive, upon the direction of the Committee, payment for services as a condition of appointment, or reimbursement for travelling or other legitimate out of pocket expenses or costs incurred in carrying out the functions or responsibilities of Office. (h) The allocation of USFA funds for any purpose, including State Team subsidies, shall be controlled by the Committee. (i) All claims for reimbursement shall be made to the Secretary at regular intervals. (j) All payments shall be made in accordance with Part (c) of this section, above. (a) Upon the recommendation of the Executive, staff may be employed on a part or full time basis to assist the Executive in carrying out its function and responsibilities with respect to the USFA. (b) Conditions of employment and payment shall be as decided by the Committee. (a) If the Executive as a whole or any member of the Executive in his Office as such has paid, or is liable to pay, money for any act, default or omission of any other Member or Members of the USFA, such money shall be refunded to him, or them, by the USFA, or such money shall be paid by the USFA. (b) Payments made shall be in accordance with Section 23. Part (c). 26. Levies (a) Should the USFA bank balance fall below a figure determined by the Committee, a levy as determined by the Committee shall be placed upon all the Clubs. (b) The levy value shall be placed on the “USFA Schedule of Fees”. (c) The levy shall be paid within 30 days of invoice. (a) The Executive shall appoint auditors who shall have the authority to call for the production of all books, papers and accounts relating to the affairs of the USFA. (b) The accounts shall be audited annually and at any other time deemed necessary by the auditors. (c) Any Member or Affiliated Club may order an audit at any time by the submission of a written requisition to the Secretary, and the placing of an Audit Bond as outlined in the “USFA Schedule of Fees”. (d) Any Member or Affiliated Club who shall cause such audit will be exclusively liable for all and any fees and expenses incurred during said audit if all books and processes are found to be in order. (a) The USFA may be dissolved voluntarily whenever a Special Resolution is carried requiring the USFA to be dissolved. (b) Such a Special Resolution must be dealt with at an Extraordinary Committee Meeting convened for that sole purpose. (c) In the event of the USFA being dissolved, the funds and property remaining after such dissolution, and the satisfaction of all debts and liabilities, shall be transferred to any Affiliated Clubs of the USFA: such Clubs being organisations not carried on for the profit or gain of its individual Members. Said distribution shall be made in such a way that each Club receives an amount equal to the proportion of its Members as a percentage of the total Affiliated Club Membership of the USFA.